Hard day for you Debs , sometimes doing the right thing is the hardest I'm sure you have all the best . Sh*t news that Debs; I'm truly sorry. I've never been a pet person and never had much emotional attachment to an animal but the pup that has been brought into the home, just this week, is starting to change that. I feel your pain. Thanks guys. I'm totally lost without him, Paul's just left for work and the house is so dead and empty. I'd normally be telling him what our plans for the day are, how we'll fit his evening walk around tonights u23s match and that maybe we'll wait up and go to meet Paul coming out of work at 12.30. I've already twice gone to call him for tidbits whilst cooking lunch and had to check myself. Even though I've known for a few weeks that he's been slowing down and his age was showing, seeing how quickly he deteriorated this weekend was so sad. He was sad, very sad, not interested in a walk or even going out when just last week he was still excited to go and was still managing a good 3 to 4 miles a day. RiP lad, hope you're having fun somewhere, nose to the ground and marking out your new territory. Bobby we got as a very poorly pup rescued from a Puppy farm. It took me 8 months before I could think of having another Dog after losing my Bullmastiff. Debs, that brought me to tears. I know he is in a better place. I am sure he knows how much he was loved. It is hard to make the decision, but we have to do what is best for our pets. My baby girl, Blondie is 17 years old. She is starting to show signs of her age. Have already told myself I can't be selfish, have to do what is best for her. I am not looking forward to that time. Thanks Jen. I'd known for a couple of weeks but hoped he would pick up but having seen him last weekend we both knew it was time. We've got somebody coming to do a home check visit on Monday with a view to getting another one so hopefully the house will soon be filled with doggy silliness again soon. Sorry to hear about losing your dog - it is a grim experience but at least most of our pets go out with far more dignity and less suffering than many of us humans are allowed to. Took me at least a year before I felt ready to get our new rescue dog but then I did have a 1 month old at the time to worry about! Thanks John, that's so true about the experience and the dignity. It's a strange one about getting another so soon and the circumstances behind when is the right time. My previous dog who we lost 8 years ago I'd had from a pup and I'd been saying for a couple of years before he died that I would have a break before getting another but I think the shock of losing him so suddenly made my grief so bad I didn't know any other way of getting over it than to get another straight away. It was definitely the right decision. I had to make the decision to have my dog, Sienna, put down. She was having multiple seizures in a row. She was a great and loving dog. I will truly miss her. My dog just had a little scrap with a fox, blood all over her white fur but most of it seemingly the foxes. If any there is some blood on her paw and a cut on her nose. My dog is a white German Shepherd and she seems to be fine, not crying or wincing but I am unsure whether to take her to the vets or not as she has her annual injections to cover the potential diseases but I am worried we might have missed something. If someone has had a similar experience before any words of advice would be greatly appreciated. 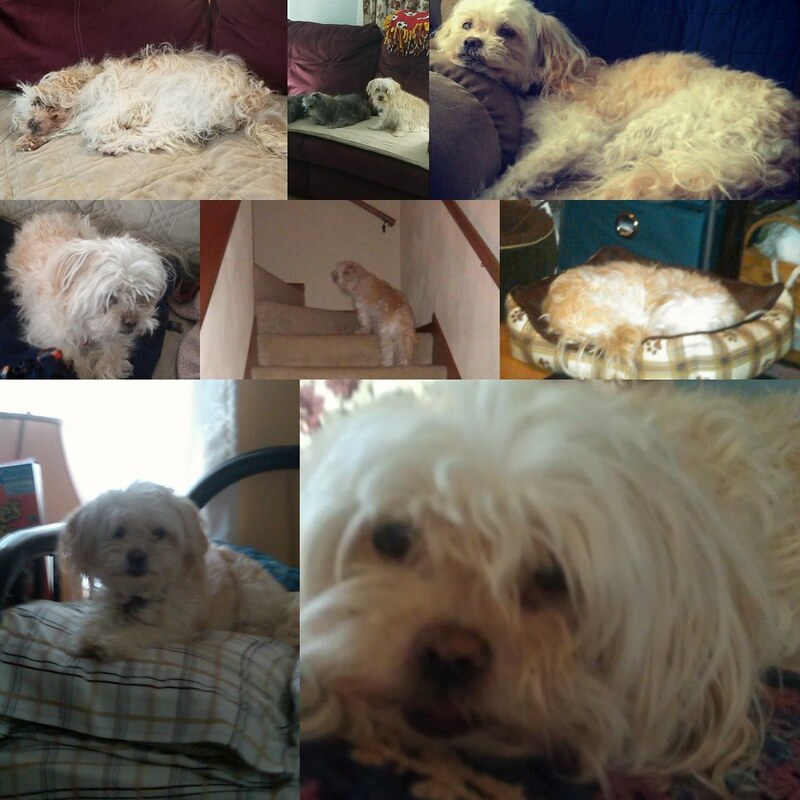 I had to say goodbye to my baby girl, Blondie. She has been through a lot with me and will be missed. I truly was blessed to have her in my life for the last 18 years. She will always be my baby girl. Sorry to hear that Jenn - we’re not really a pet family but I know from my brother’s lot how much they can become integral. That’s a huge chunk of time and must have created some awesome memories. They’ll remain and sustain after the immediate sense of loss subsides.